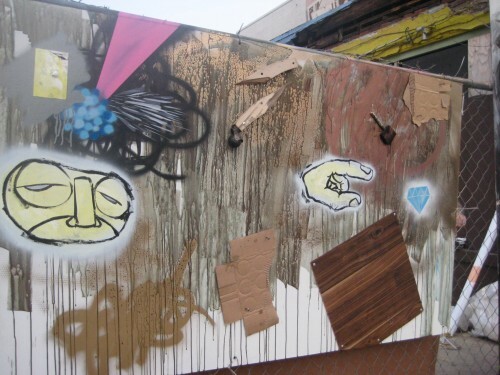 When I first introduced myself as the newest We Love DC arts writer to Lauren Gentile, Director at Irvine Contemporary art gallery on 14th Street, she warned me that I would struggle to find works that would meet my “street art” beat. 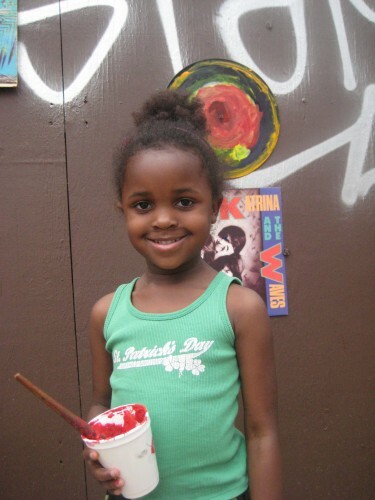 At the time, I was researching the P Street Shepard Fairey mural, and she was quick to point out that neither he, nor any of the other artists represented in that tiny gem of an alleyway, were DC-based. This was true, of course; but as it turns out, maybe not for long. The DC blogosphere has been buzzing lately over “vitaminwater uncapped LIVE’s” month-long takeover of 1213-1217 14th Street. In a last hoorah before its scheduled demolishment later this year, the multi-story building has played host to a “cultural extravaganza” of musical performances, fashion shows, and Art Whino gallery’s second annual G40 Summit. Playfully (or something like that) named after the G20 Summit that unites political heavyweights, the exhibit unites leaders in “New Brow”—contemporary underground art that draws from graffiti and skater culture—with thousands of pieces from New York, California, DC and around the world on display. 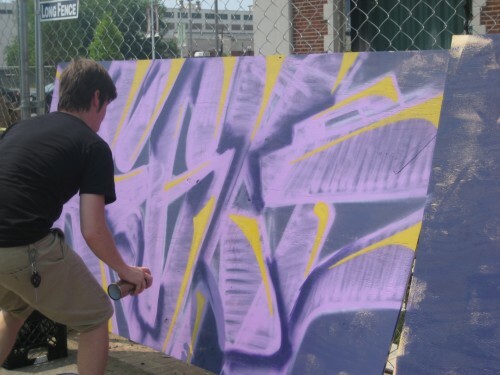 While DC is no stranger to galleries and art shows, the truly unique nature of underground art literally exploded onto the street last Saturday, when Art Whino hosted its “Artapalooza” live painting session in the parking lot adjacent to the venue. 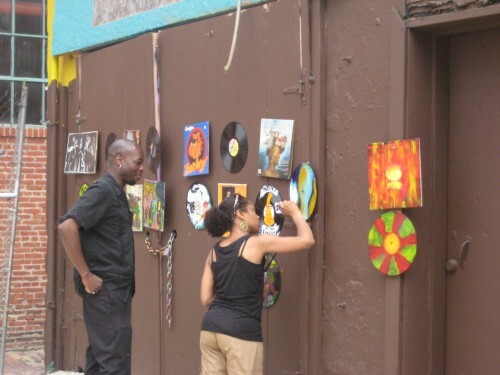 Open to the public, Art Whino Executive Director Shane Pomajambo offered curious visitors old disc covers, paints, and Sharpies (and screws, to attach the ‘canvasses’ to the side of the building) to create their own street art. 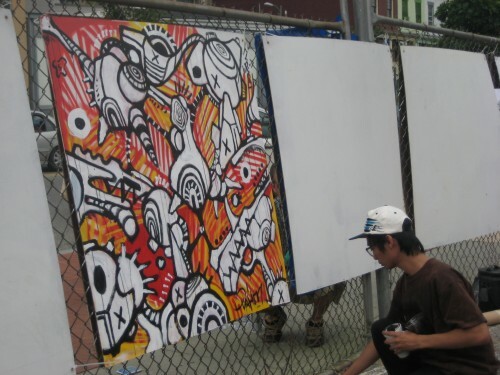 Meanwhile, armed with glosses, spray paints, permanent markers and duct tape, a handful of Art Whino artists went to work on white-washed Masonite boards, which the artists themselves had painted, drilled and hung to the surrounding wire fence earlier that morning. 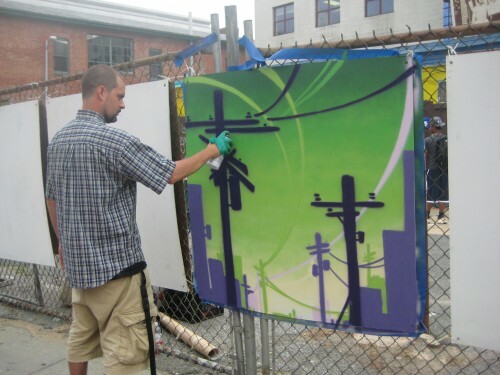 Within just a few hours, one canvas depicted a neon green and purple landscape of electric wires; another a busy black-and-white labyrinth of abstract shapes. 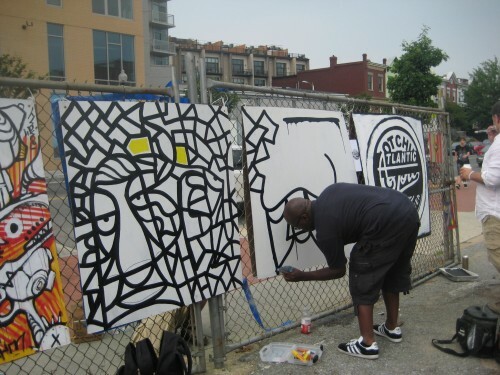 Painting side-by-side over the course of the afternoon, Miami-based artist Wes Roos connected with DC-area native Bobby Moore, agreeing to join in a scheduled painting session the next day, when Art Whino would be hosting its first “Creative Art Market” at Navy Yard. 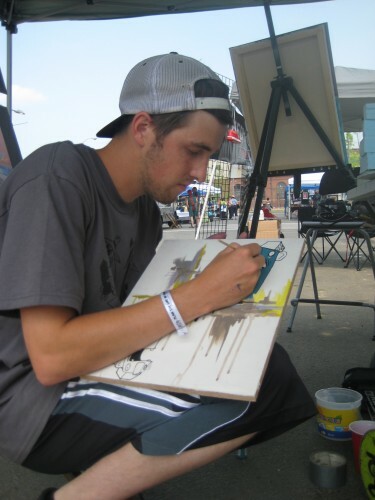 Frustrated with the limited opportunities for street artists in the area, Pomajambo used his own personal collection of New Brow works to open a gallery in Virginia nearly five years ago. Over 1500 people attended the grand opening; and in his mind, the scene has continued to pick up since. And what does the DC scene look like? Thanks for the flag, we will correct this shortly.